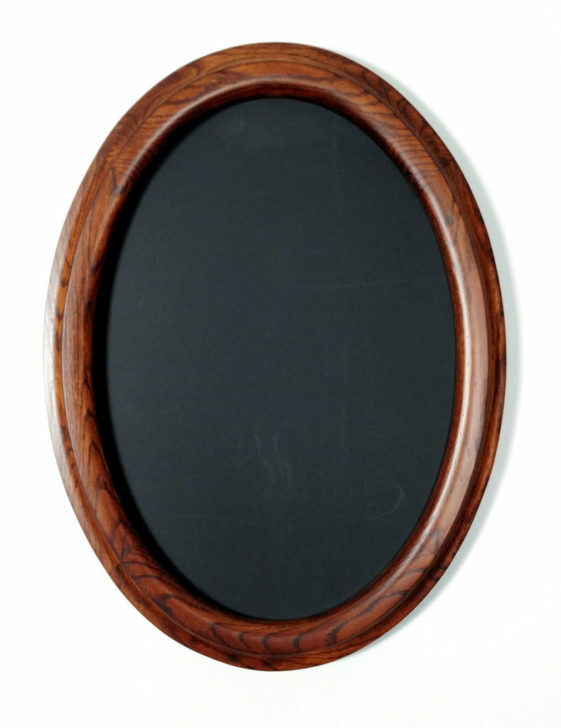 This oval frame features our narrow outside cove profile. 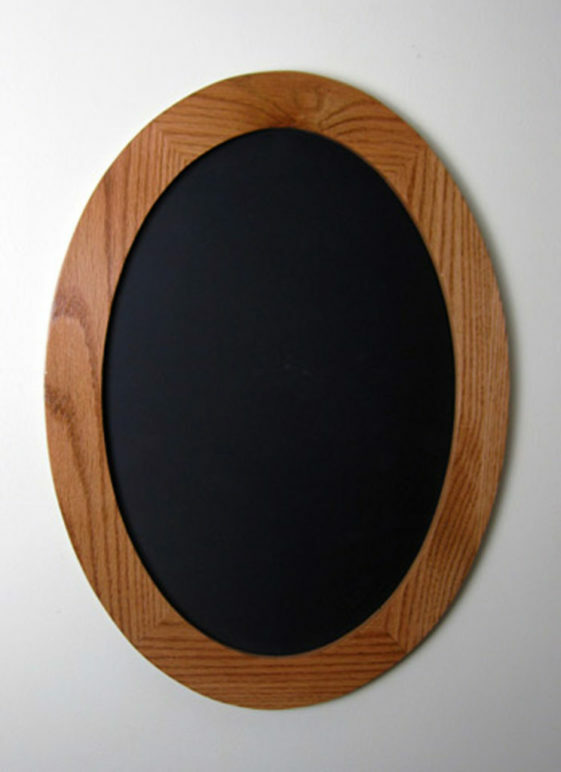 Oak is a timeless favorite that blends well with antiques or even more modern decor. 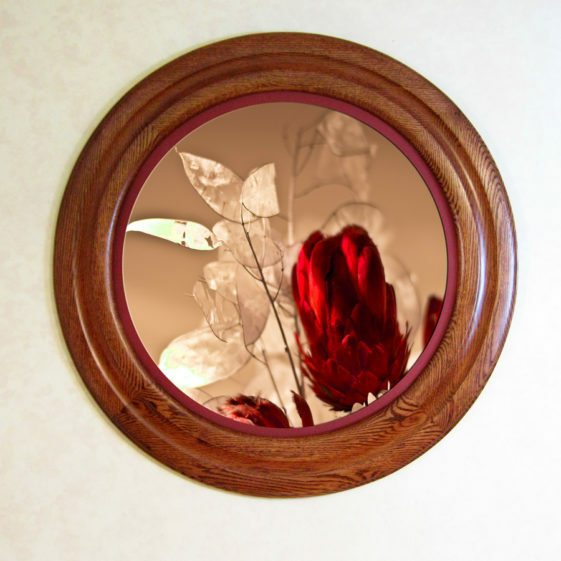 Round Frames made of Oak and stained Red are very versatile. 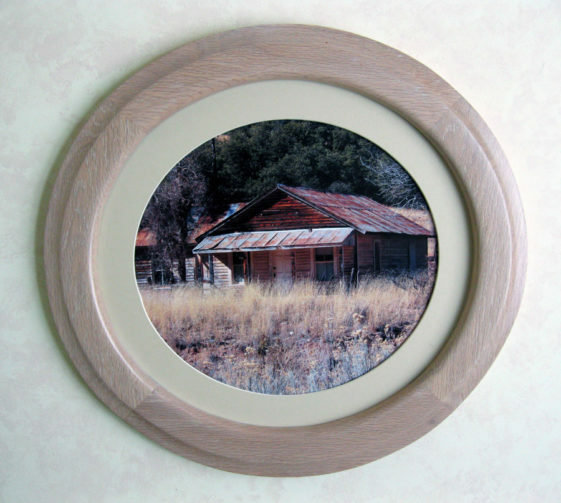 This frame features our “Narrow Traditional” profile with White Round Matting. 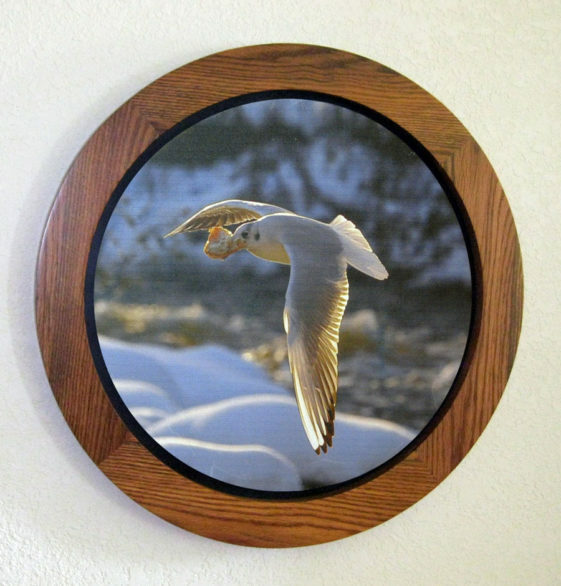 Shown with our outside cove profile, our oval frame made of oak is always a good choice. This dark brown tone has also been a popular choice for many clients. 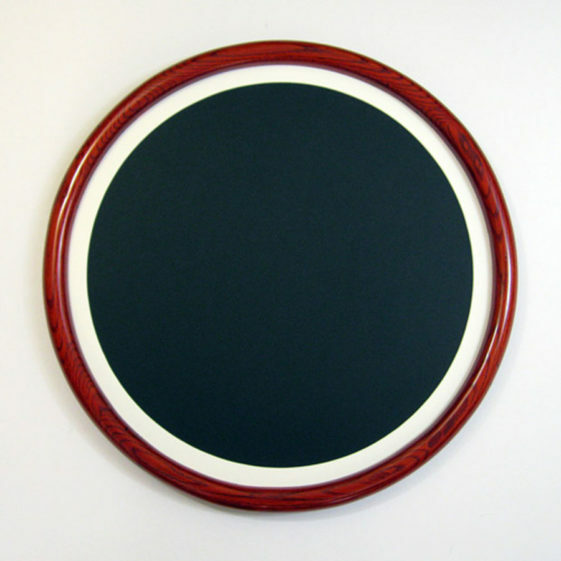 Shown with our “Crone’s Favorite profile” and a very Narrow Red Matte, just enough to accent the frame and artwork. Oak grain can be a bit harsh, but it has great character. When stained a color like Red, the grain really pops. 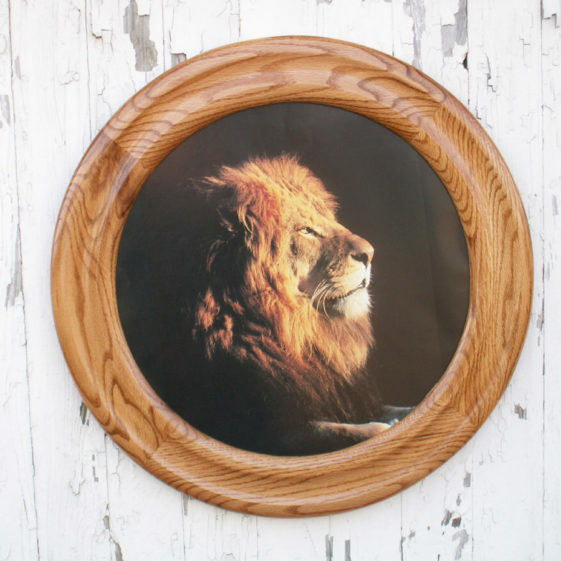 As with all our picture frames, it is available in a High Gloss or Satin Sheen. Our Round and Oval Matting selection lets you choose from hundreds of colors. 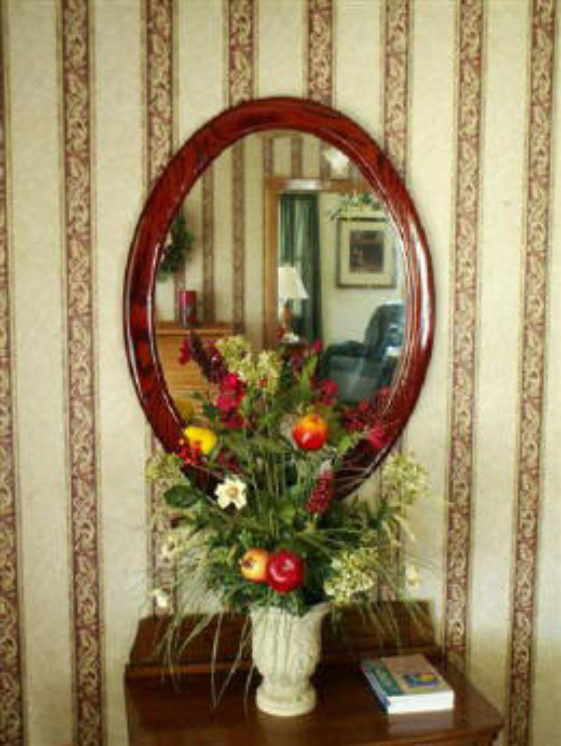 Match your mattes to other elements of your decor. 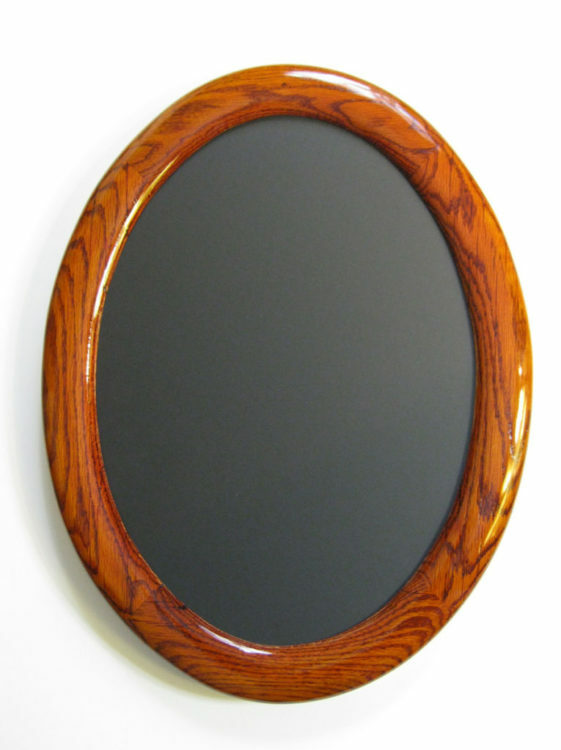 With our “Narrow Gallery” profile, with a high-gloss, natural finish. 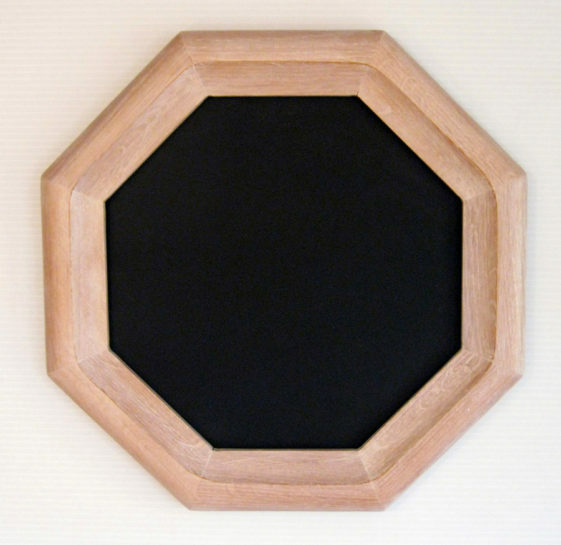 Shown with Round Matting. The combination of the these two wood tones is really handsome and makes you artwork look expensive. 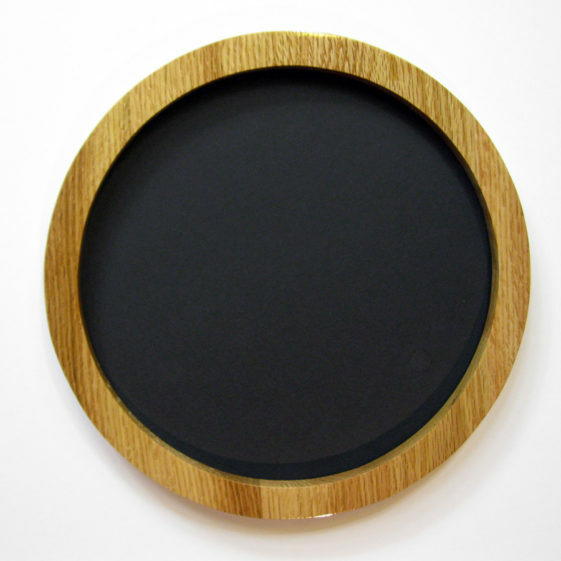 Circle Picture Frames, Oak, stained Golden Oak. 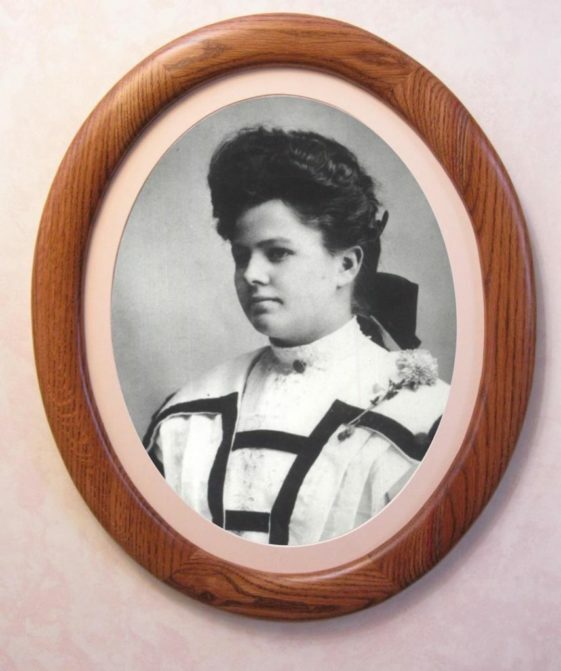 Shown with our “Crone’s Favorite” profile. 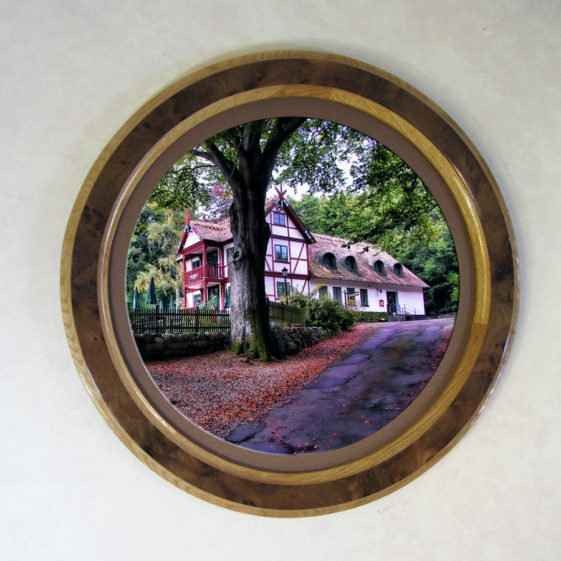 Oak Circle Frames With a Natural Finish. Sometimes simple is better. Natural finish and our “Traditional” profile. 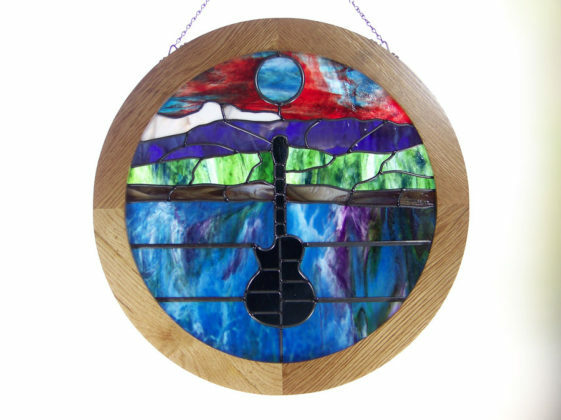 This particular design has equal sides, although a longer version is also available, and perfect for a pendulum clock. 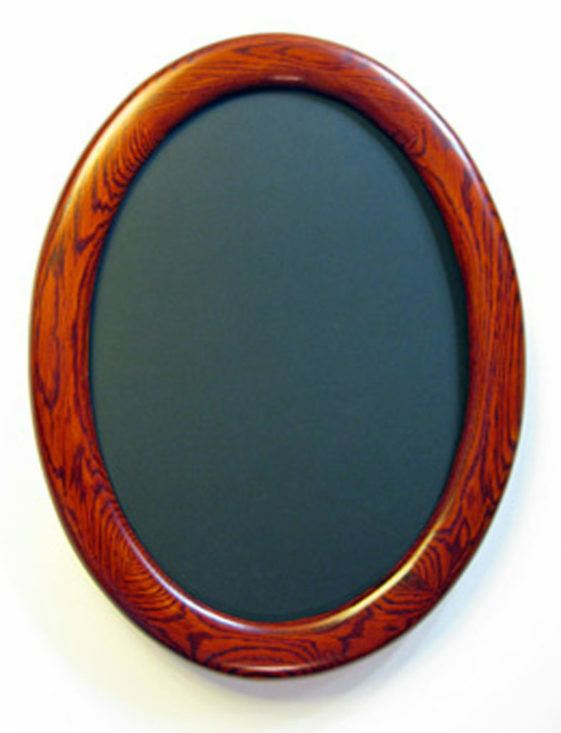 This Oval Frame has our “Gallery Profile” which is a simple design and has been one of our best sellers. 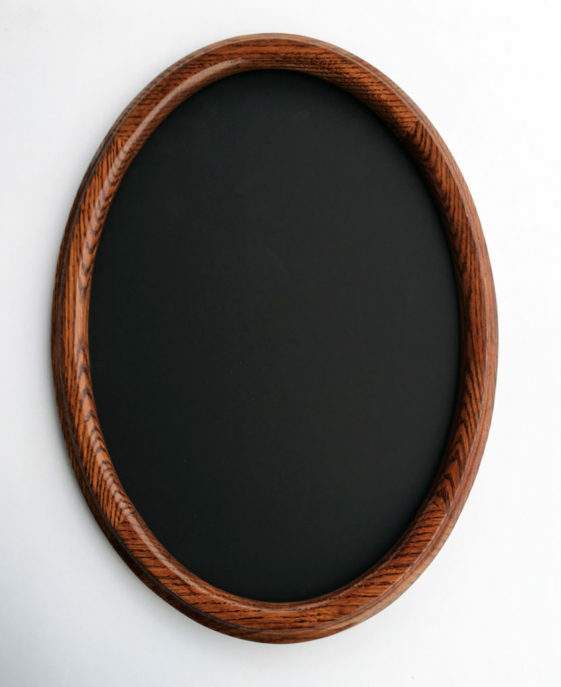 This frame is shown with a natural finish. 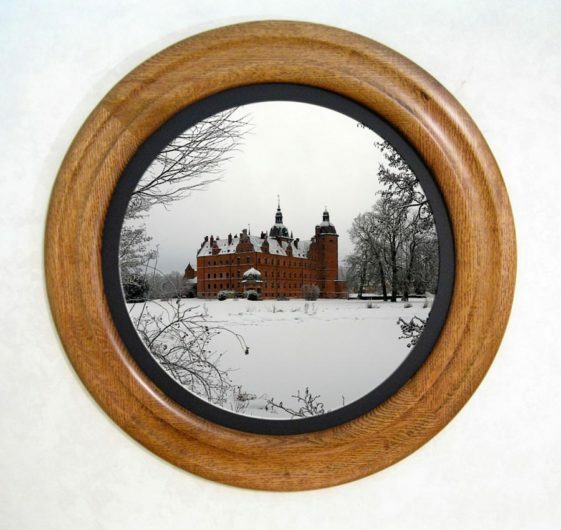 Our oval frames are not only available in popular sizes, but odd sizes also. Please inquire! 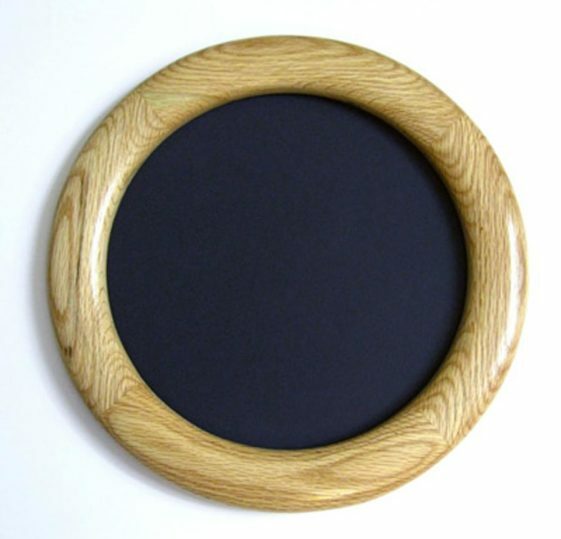 The frame looks Round, but it is just barely an Oval. The whitewash color is clean, and allows the wood grain to come through nicely.